Best Kosher Pizza in NYC! 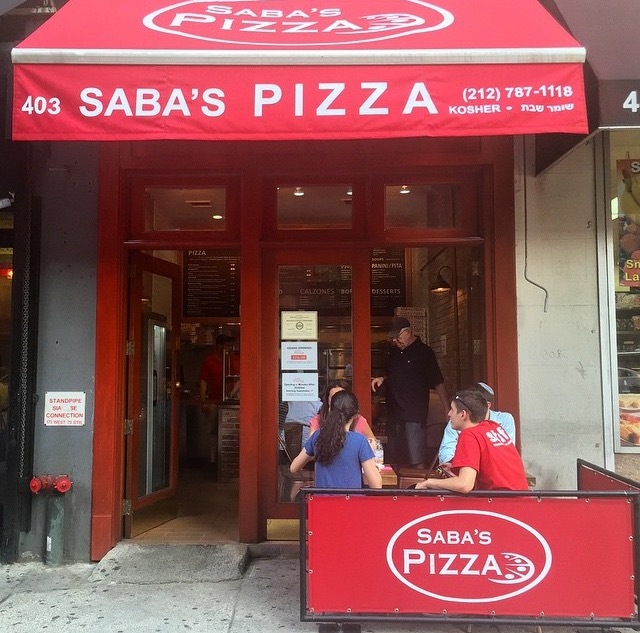 Saba’s Pizza is a Kosher NYC Pizzeria under the strict supervision of National Kosher Supervision. Pizza lovers flock to Saba’s because their pizza is truly OUT OF THIS WORLD! 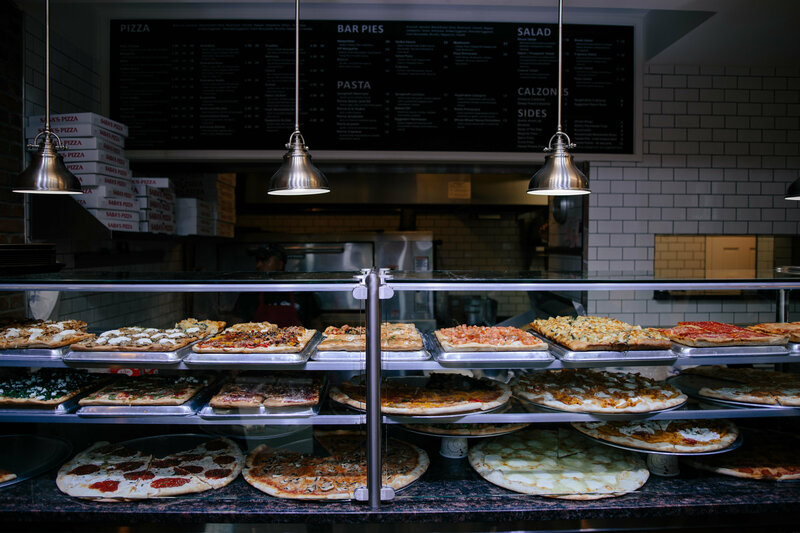 They sell THREE different styles of pizza- classic round pies, specialty square pies, and Bar Pies (ultra-thin crust). Their pizzas are loaded with innovative toppings and sauces. 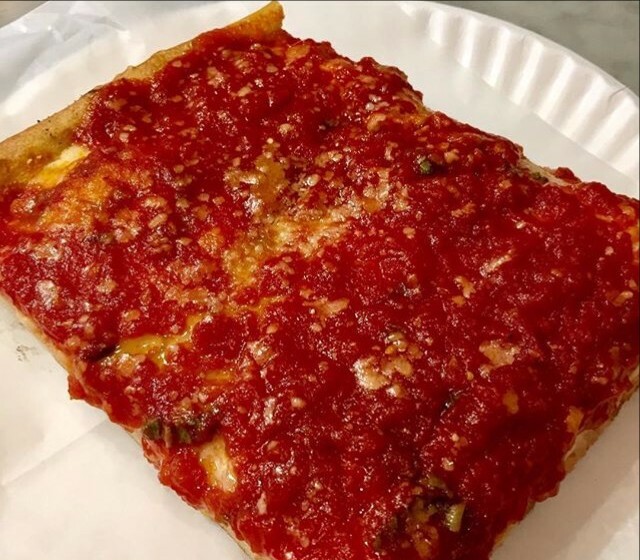 Must try slices: Grandma Slice, Grandma Pesto Slice, Vodka Slice, Bruschetta Slice, Sicilian Slice, Caramelized Onion and Ricotta Slice. But seriously, you have to try them all. (Overwhelmed? 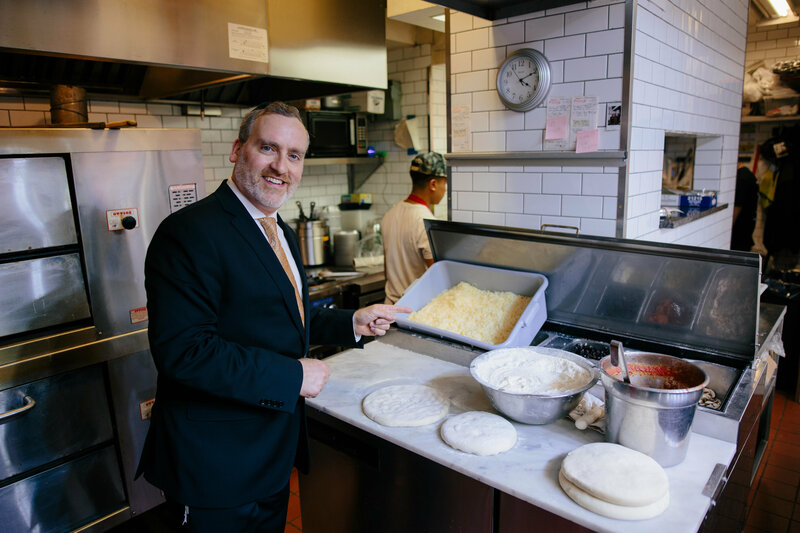 Rabbi Mehlman is partial to the Grandma Slice)! Wonder why Saba’s Pizza tastes so good? Most pizzerias have one “staple” sauce that is used in all their products. Not Saba’s! Based on cherished family recipes, the chefs at Saba’s have created FOUR different tomato sauces that are used for their various pizzas, pastas, and more. The production of these gourmet sauces is both time consuming and expensive (they contain only super fresh and specialty ingredients), but it is what differentiates a Saba’s slice from any other! Don’t get full yet. 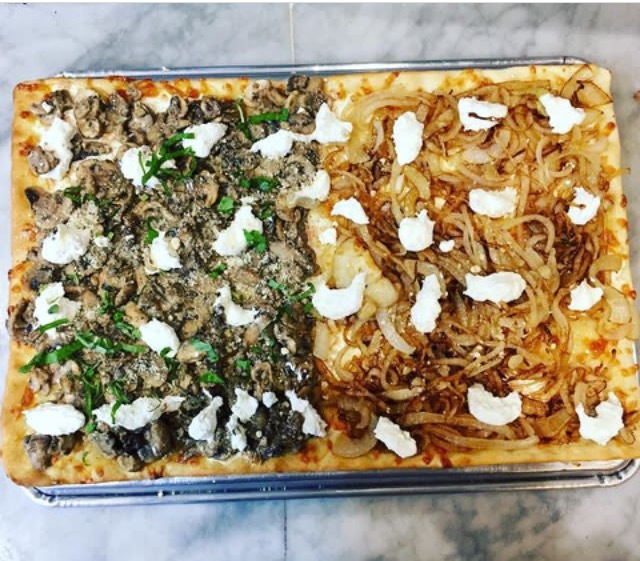 Saba’s Pizza also has an entire PASTA MENU (with full and half tray options available to order). 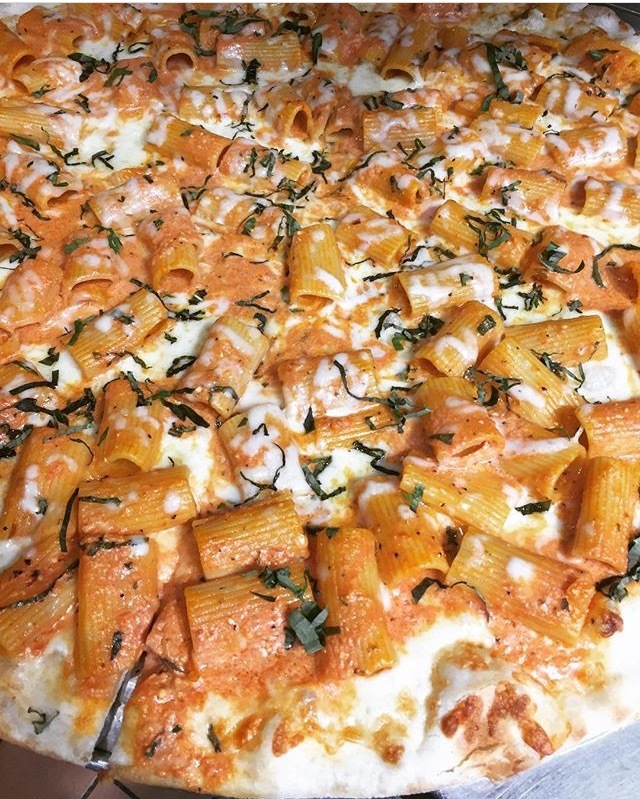 We love their Penne a la Vodka, Spaghetti Luciano, Baked Ziti, Eggplant Parmesan and Pasta Primavera! Their SALADS are super fresh and hearty, such as the Saba’s “Chopped” Salad, Caesar Salad, Greek Salad, and Caprese salad. 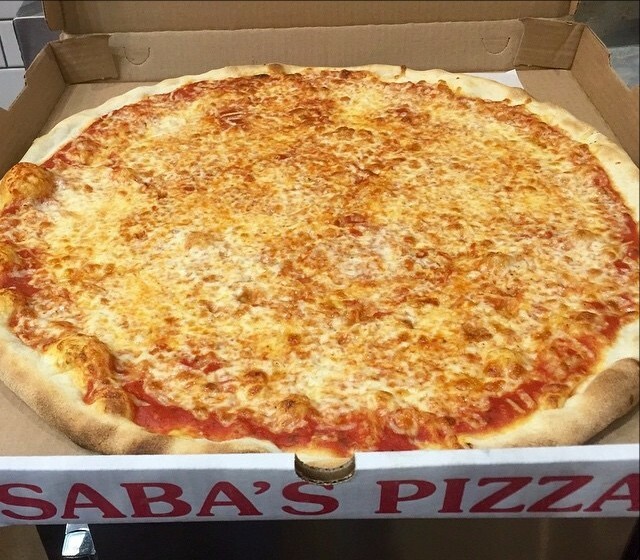 Saba’s Pizza also serves Calzones, Falafel, Garlic Knots, French Fries, and Soups! 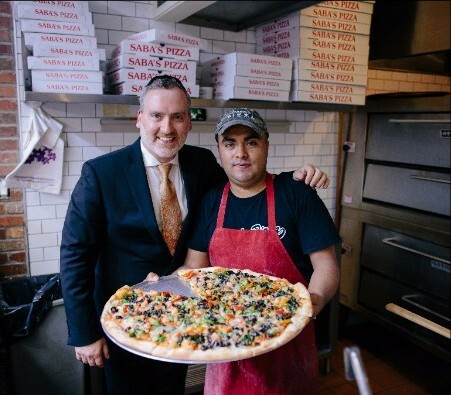 The mastermind behind Saba’s Pizza is owner Gabriel Weiser, who spends his time between the East and West Side locations. Ask to speak to Gabi about catering your next event! ​Both Saba’s Pizza locations feature Mashgichim Temidim who are highly trained and have years of experience in the demanding field of Hashgacha. These expert Mashgichim remove Challah, thoroughly wash and inspect all leafy vegetables and ensure that all products are Cholov Yisroel, Pas Yisroel and Bishul Yisroel. National Kosher Supervision is strict when it comes to Bedikas Tola’aim and we demand a non-owner to handle this sensitive, critical and time consuming task. These dedicated Mashgichim provide the highest standard in Kashrus and Halacha, from early morning until late at night! Make sure to check for our Kosher certificate the next time you visit Saba’s Pizza! Upper West Side: 403 Amsterdam Avenue – Between W. 79th & W. 80th St.
Upper East Side: 1217 Lexington Avenue – Between E. 82nd and E. 83rd St.
Click HERE to see more photos from our Instagram page! See below for more of our kosher supervised stores! Prev Get Thee To BTW Bakery! Next Think Bold! Think Kosher! Sign up for delicious updates and news!